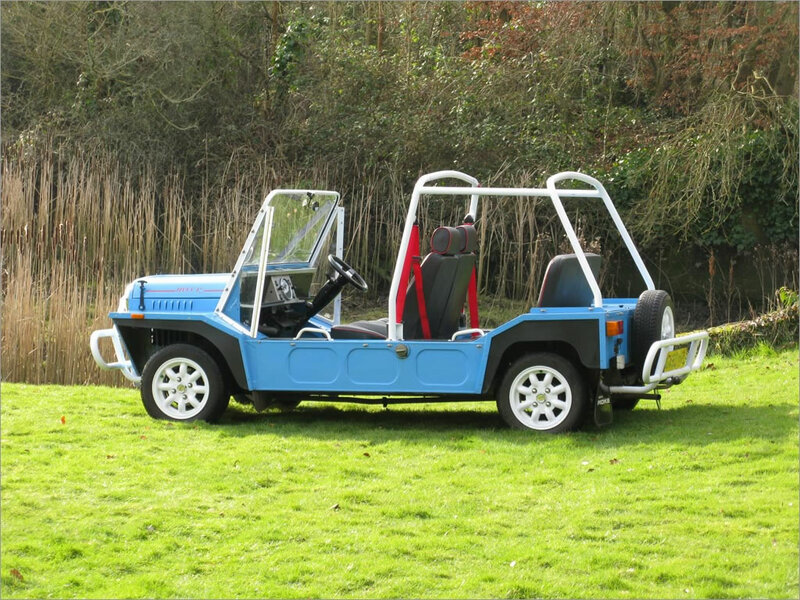 We aim to offer a selection of Mokes for sale, ranging right from original English Mokes to late Portuguese models. 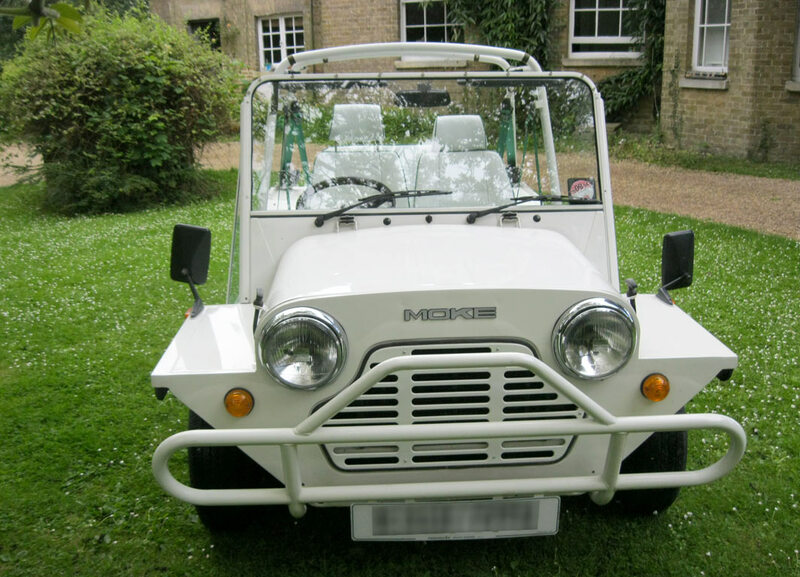 These may be Mokes that have been fully restored, or ones that would benefit from some finishing. 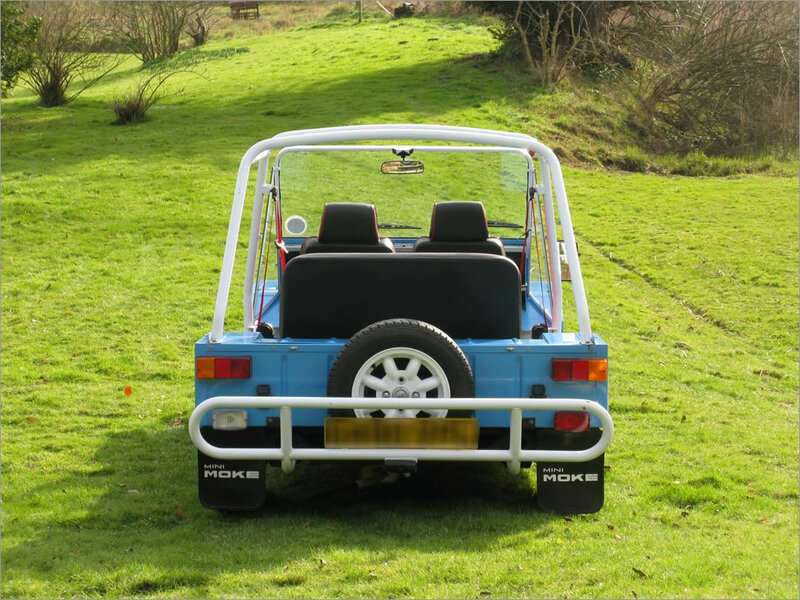 Mokes are often in short supply, so bear with us if we don't have an example that appeals to you at the moment. 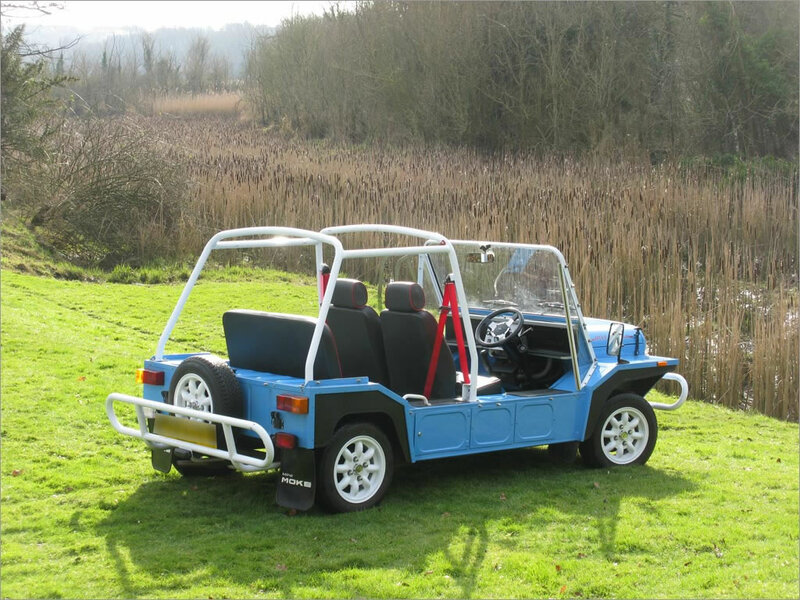 Bear in mind that all Mokes can be supplied either Left or Right-Hand Drive. 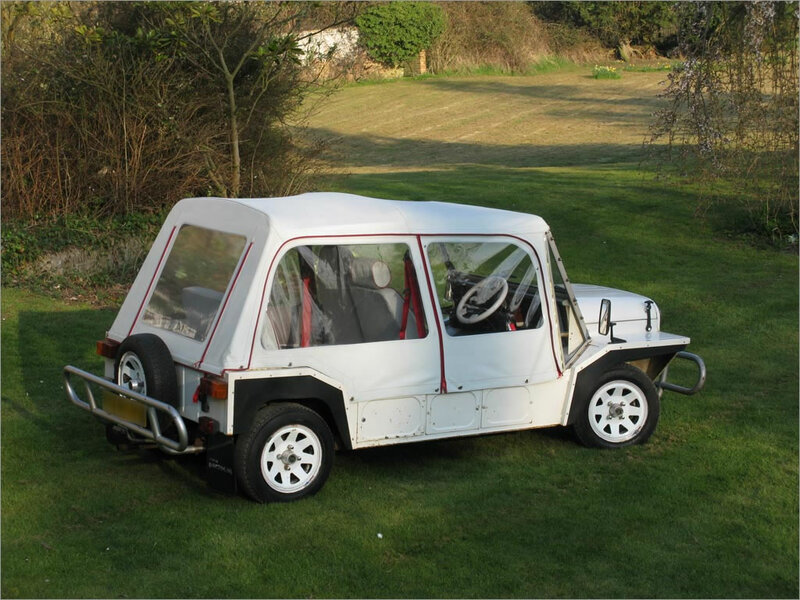 They will be supplied with a new UK 'MOT' Certificate. 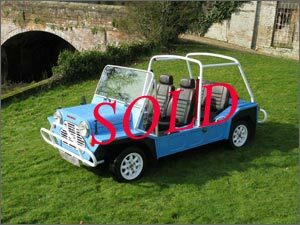 For the latest stock information, please e-mail us. 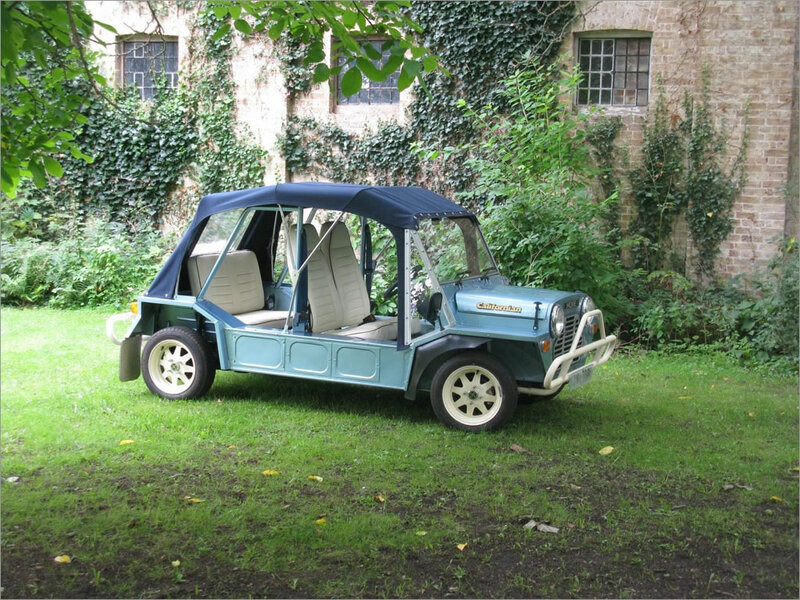 Click on photo to see more photos of this 1992 Portuguese Moke. 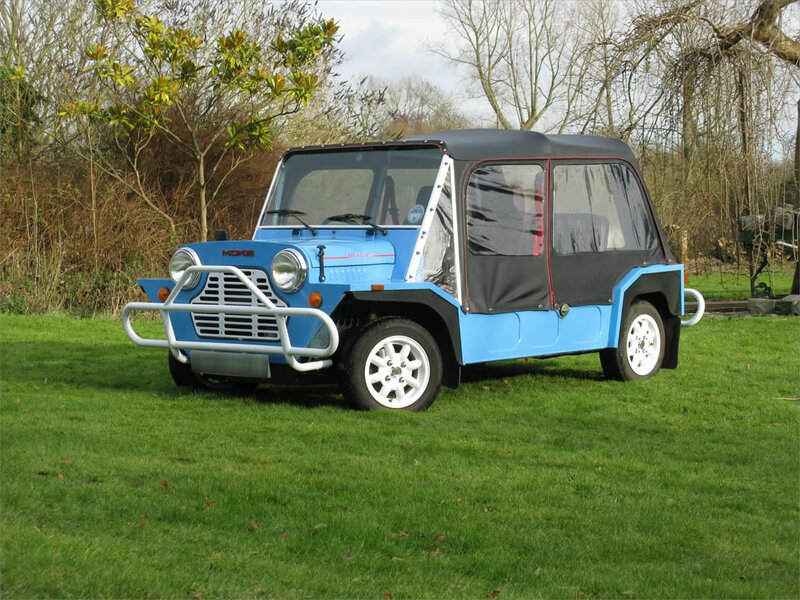 A very sound example of a late Portuguese Moke - a sought-after model which offers classic Moke motoring with a more modern touch. 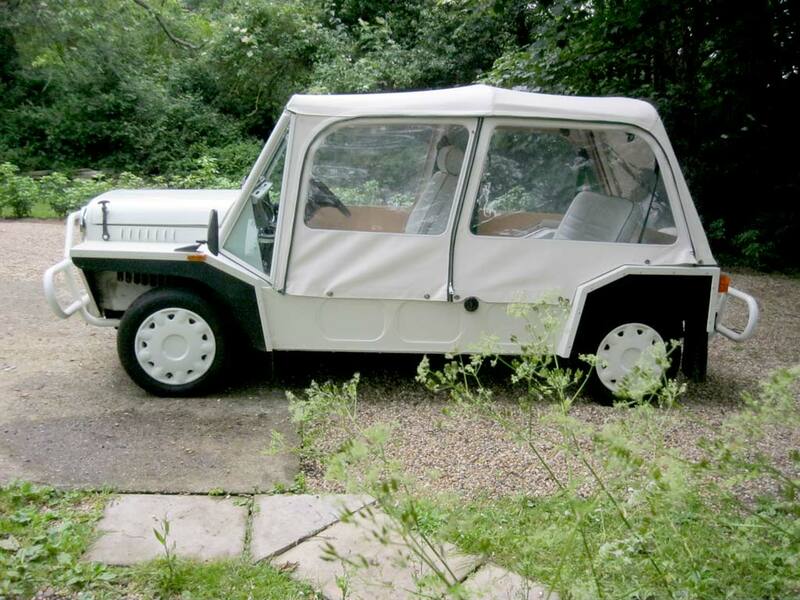 Well-maintained and only 27,000 recorded miles. 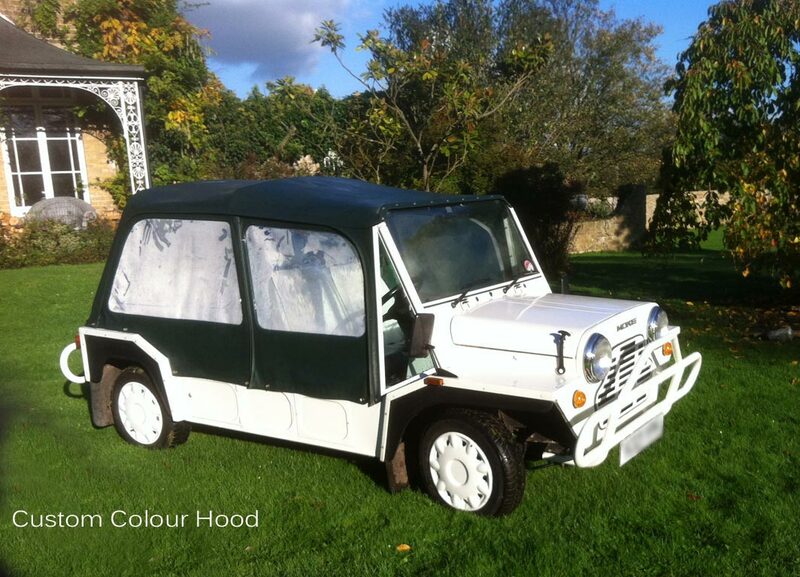 Body and interior all in very good condition. 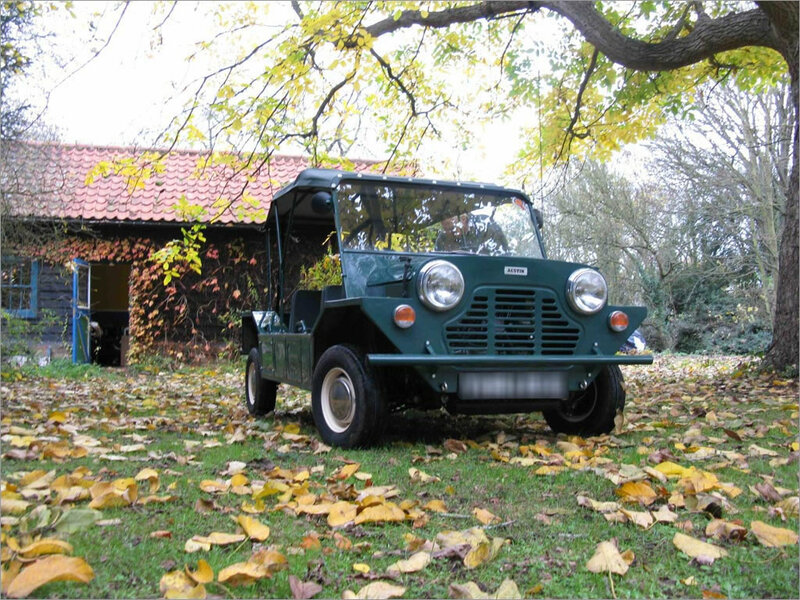 Serviced and supplied with a new UK "MOT" Certificate. 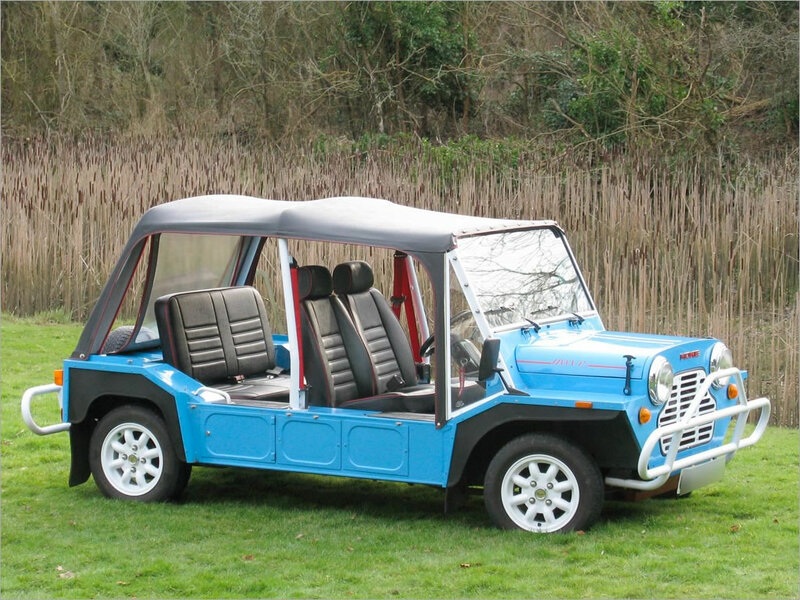 Click on photo to see more photos of this Portuguese Moke. 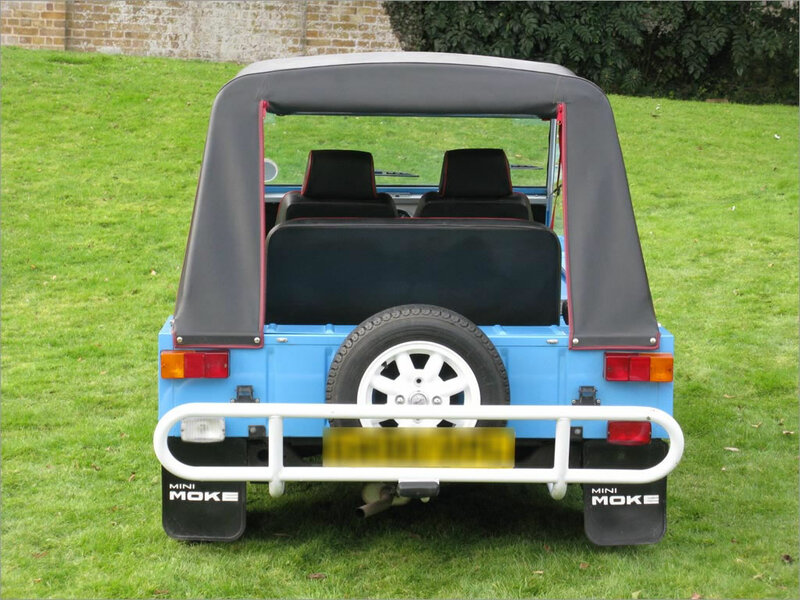 Portuguese Moke, manufactured in 1987. 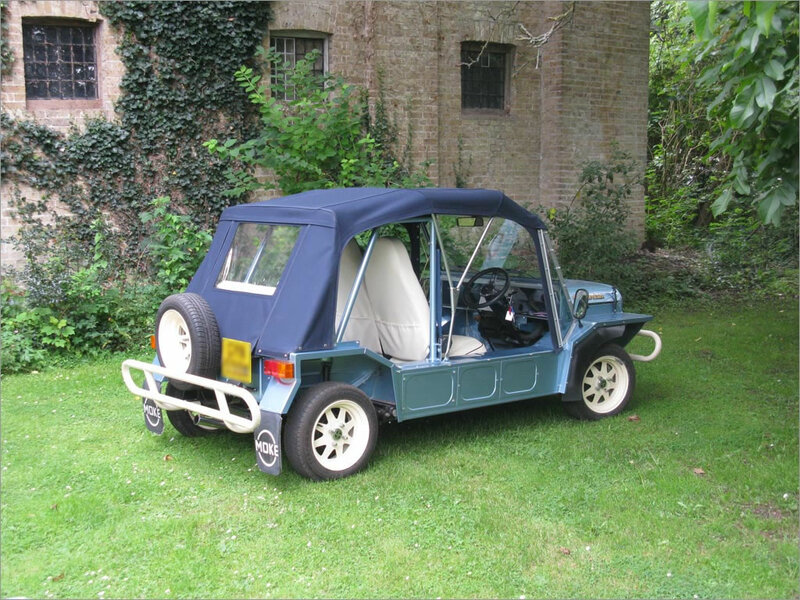 Converted to right-hand drive and registered in the UK in 1990. 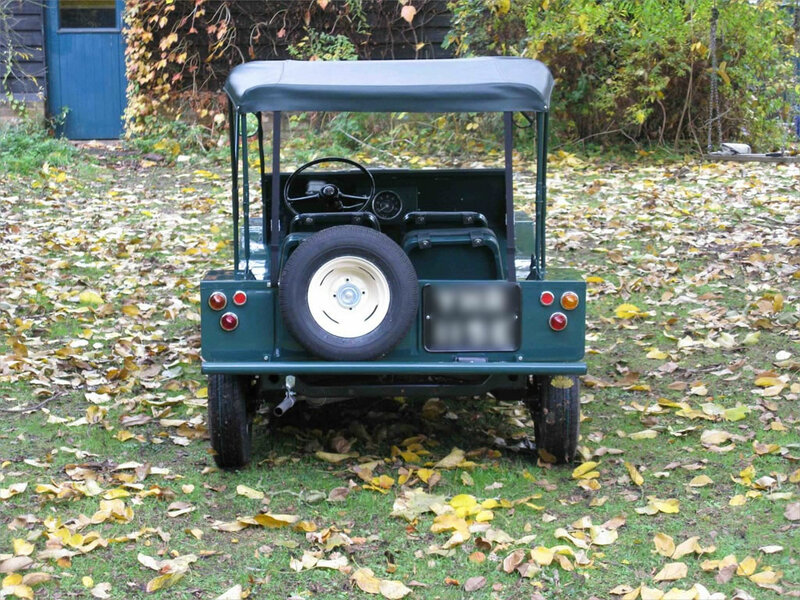 Can be returned to left-hand drive if desired. 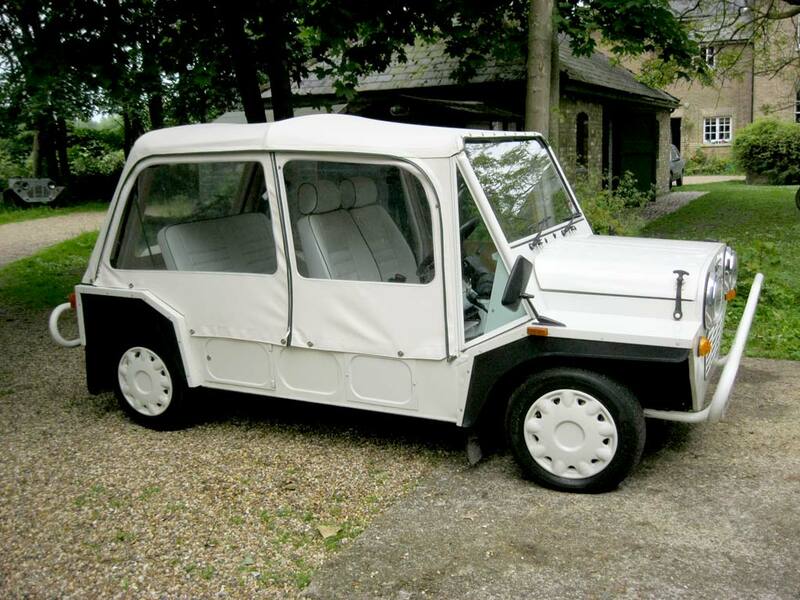 Well-maintained and only 22,000 recorded miles. 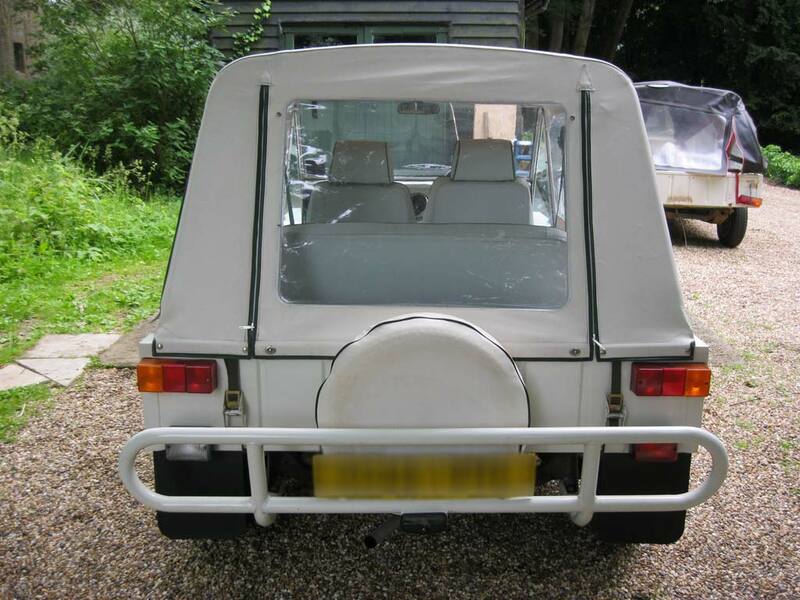 Body and interior all in very good condition. 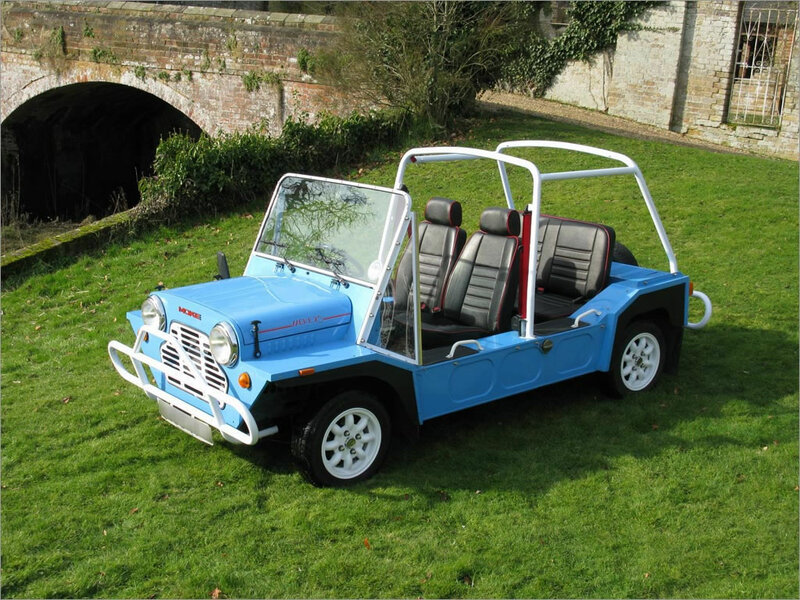 Click on photo to see more photos of this Australian Moke. 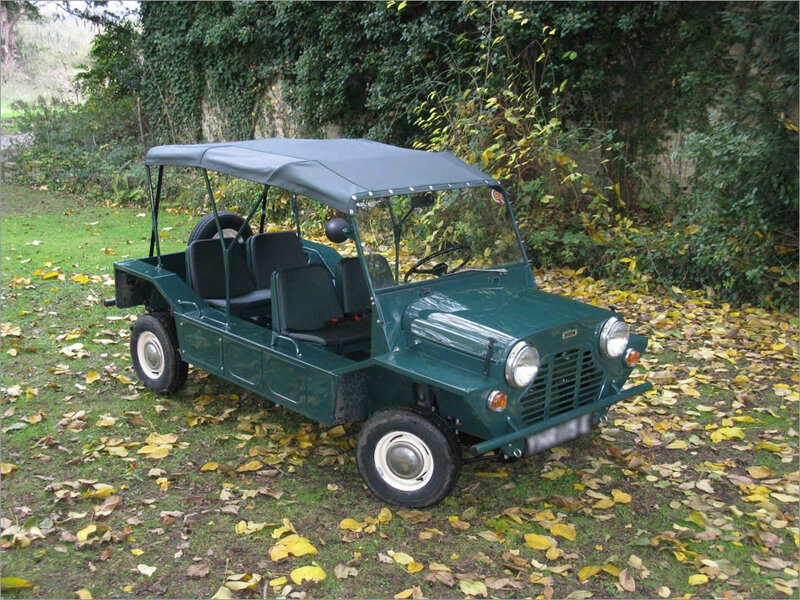 Imported new to the UK and first registered in 1981. 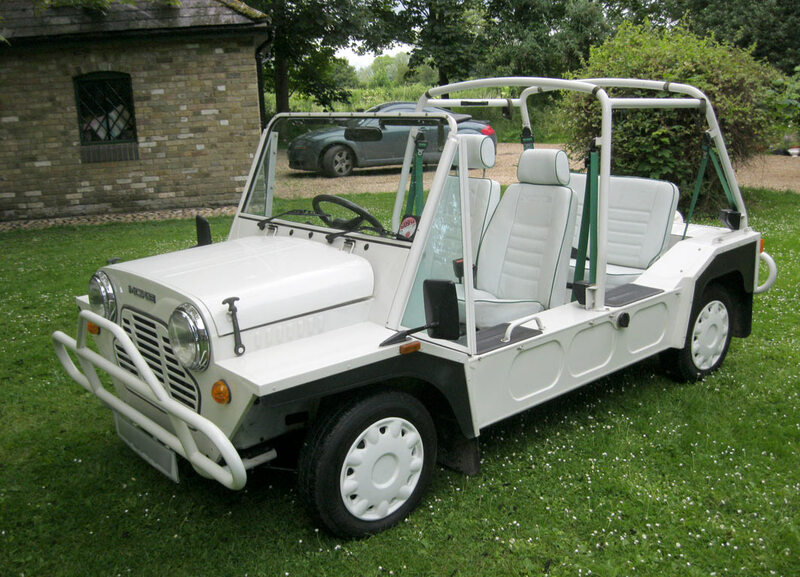 This Moke was completely stripped down and renovated in 2011. 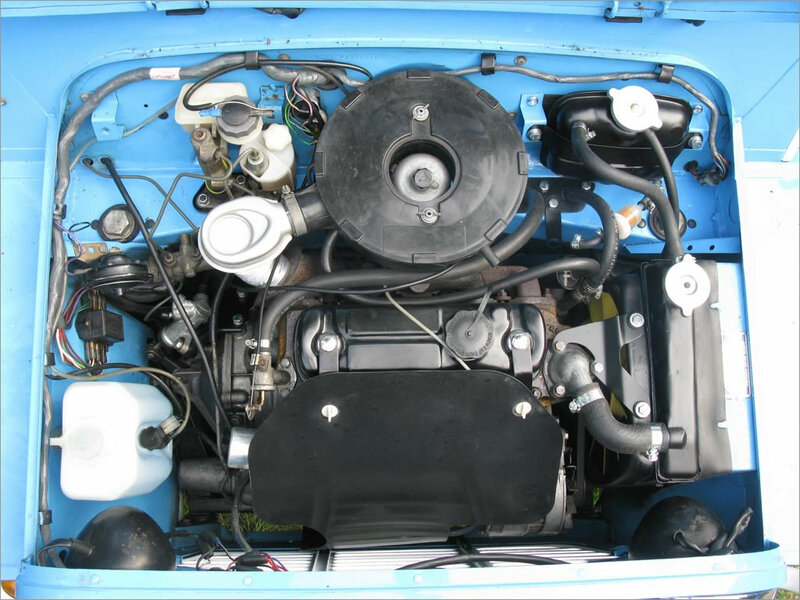 Work included the overhaul of the mechanical parts, including the engine - 1275cc. 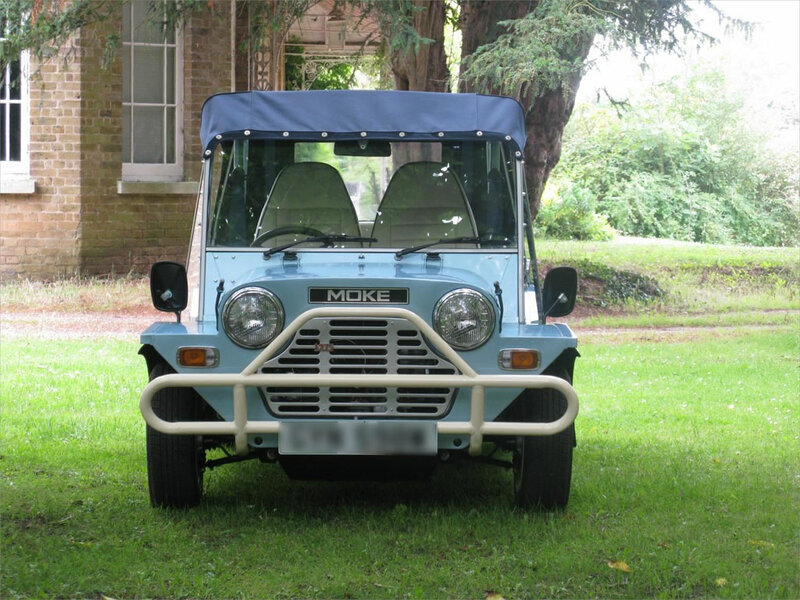 Bodywork finished in very attractive Aston Martin 'Islay' blue metallic. 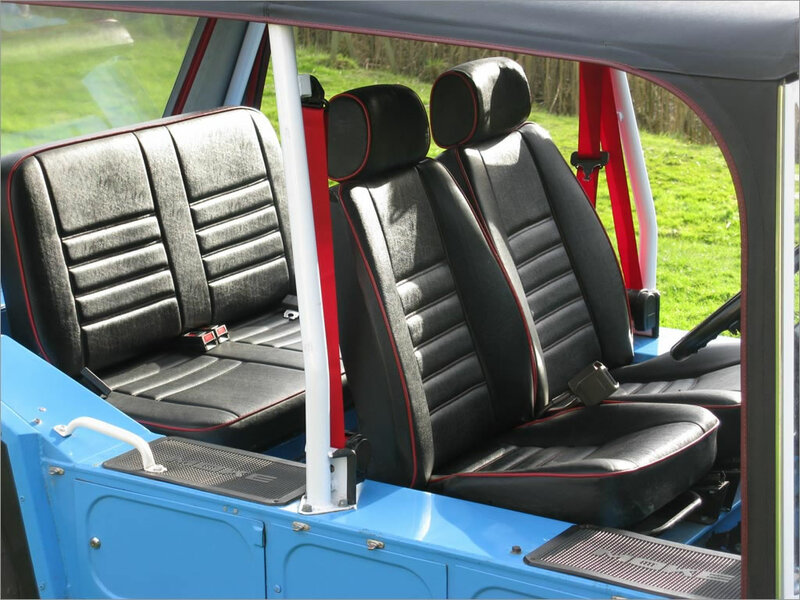 Seats retrimmed in matching cream. 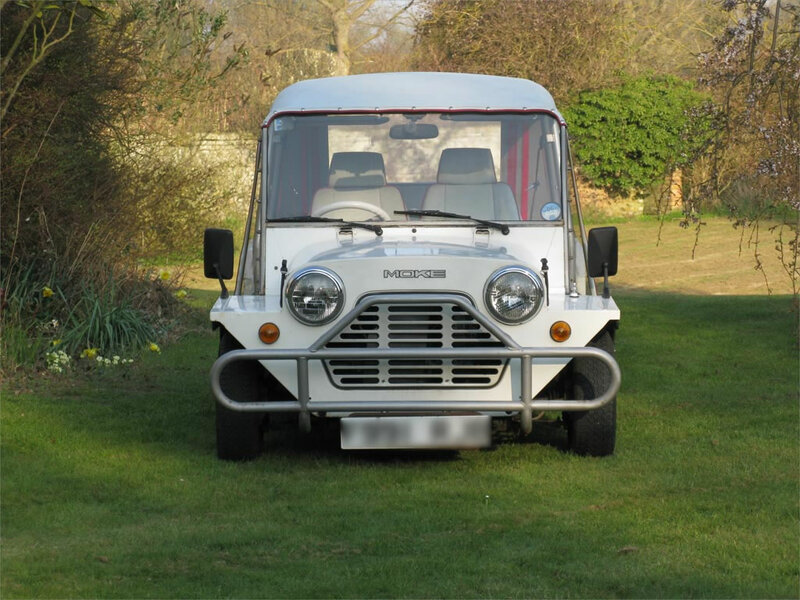 Bumpers and original Australian 'Sunraysia' wheels refinished in cream to match. 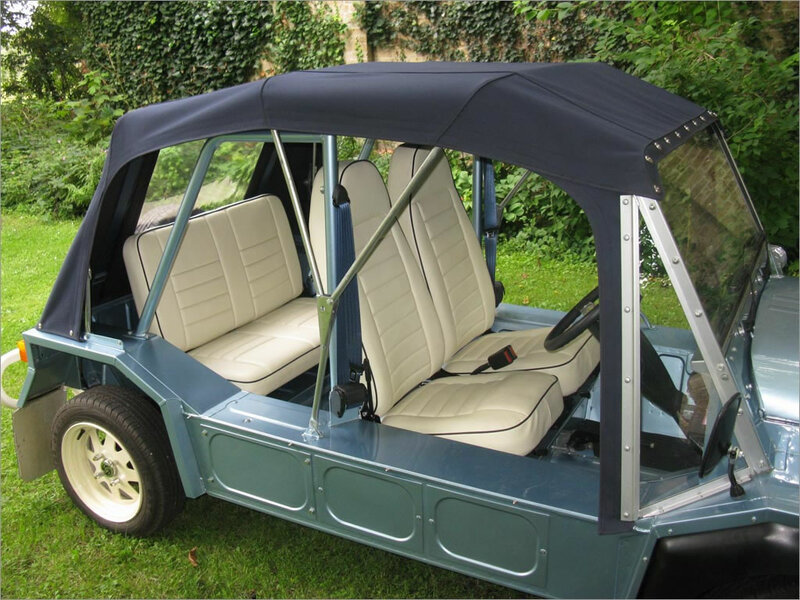 New bespoke fold-down hood, made in high-specification dark blue mohair. 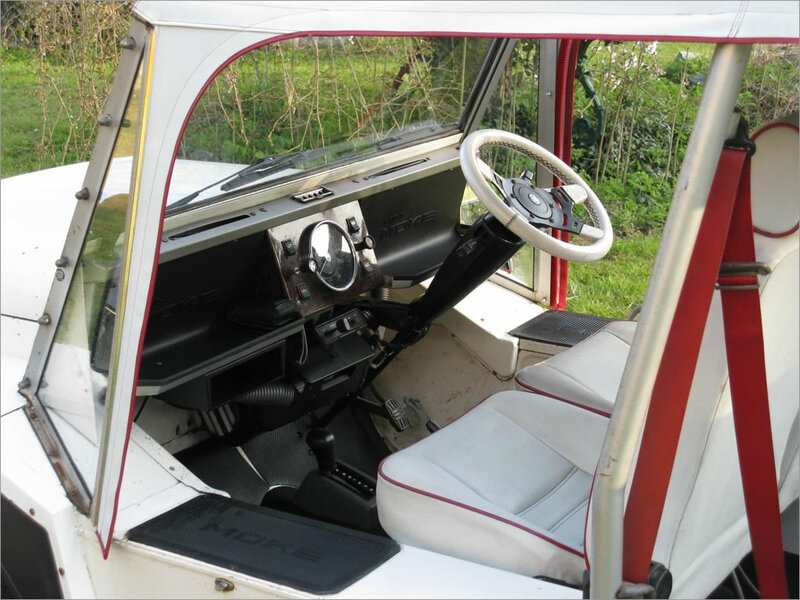 New seat belts and new tyres all round. 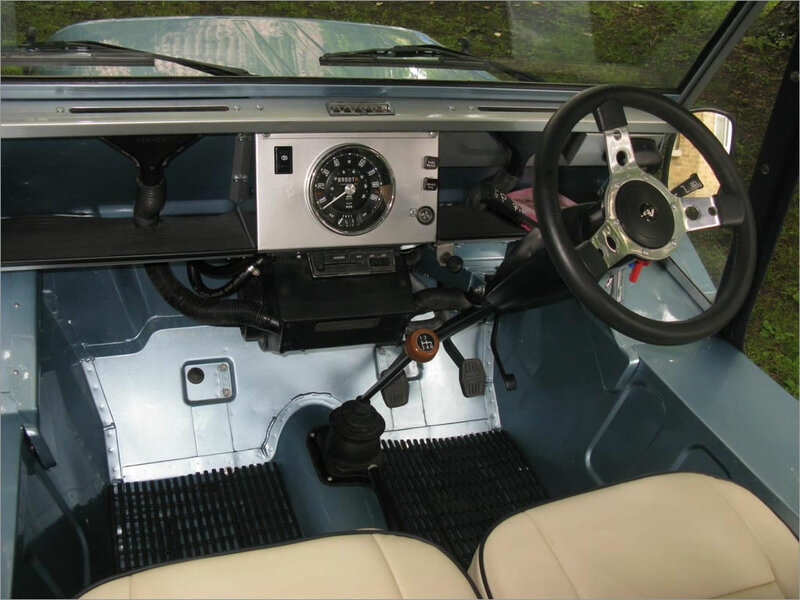 Right-hand drive - but can be converted to left-hand drive if desired. 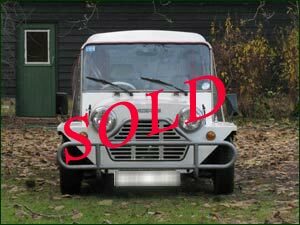 Supplied with a new UK “MOT” Certificate. 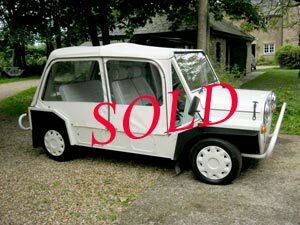 Converted to automatic for a previous owner. 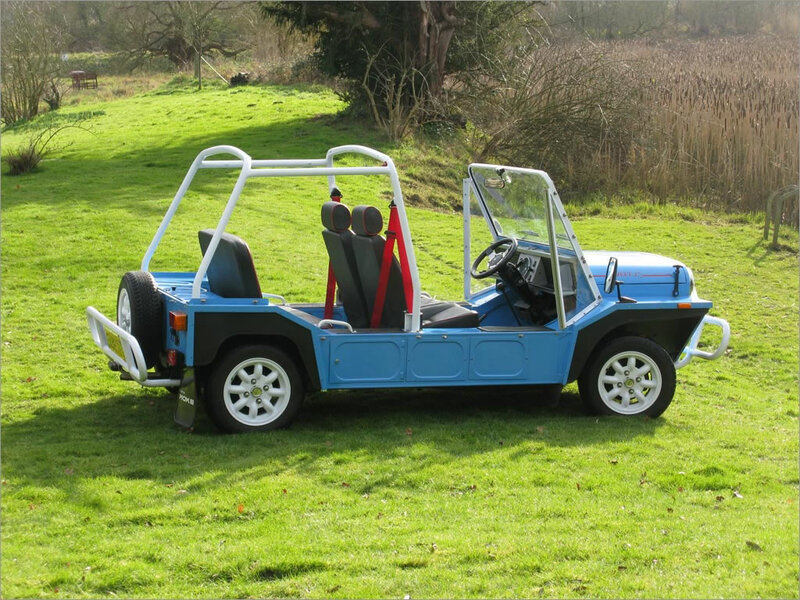 Automatic Mokes were never produced by the factory, but since this uses a standard automatic Mini gearbox, it is a desirable conversion. 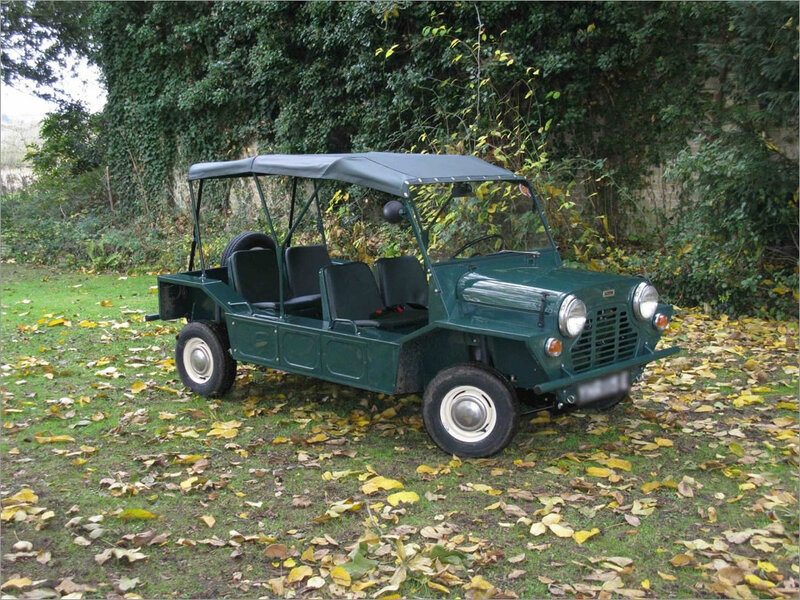 However, it is also possible to revert it to manual if preferred. 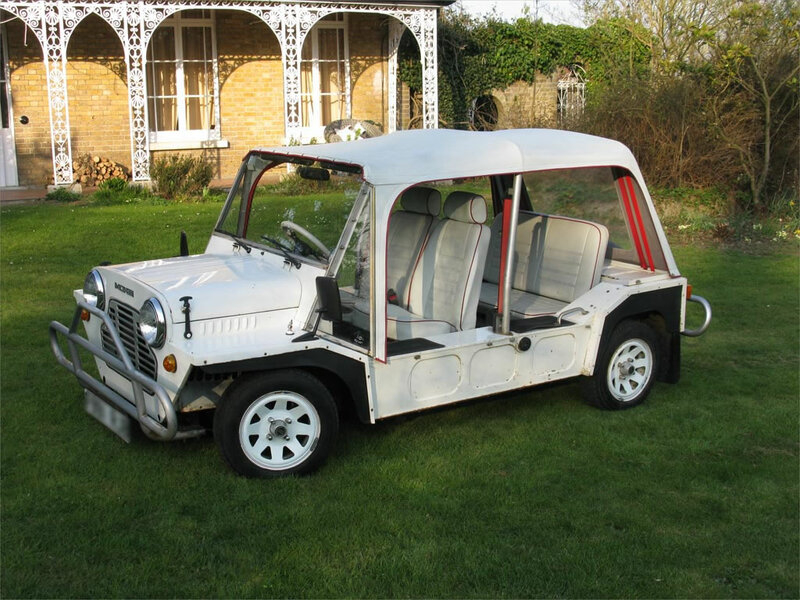 This Moke would benefit from cosmetic tidying, but it is otherwise in very good order - a light refurbishment could be arranged for additional cost. Road Tax paid to the end of June 2012. 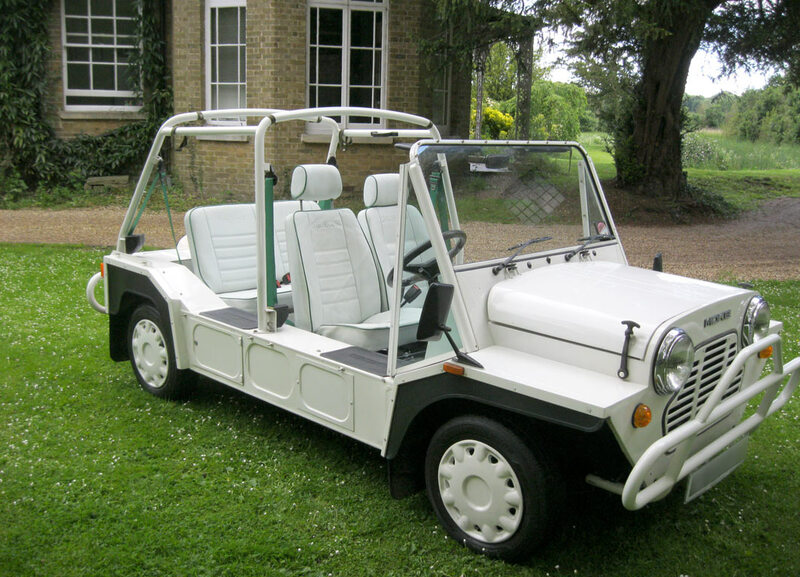 Click on photo to see more photos of this English Moke. 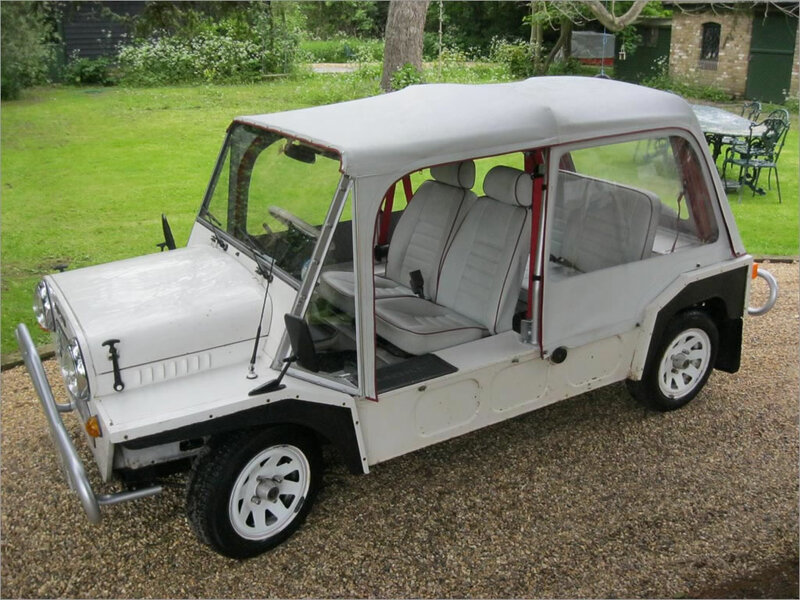 This Moke has undergone a complete strip down and restoration. 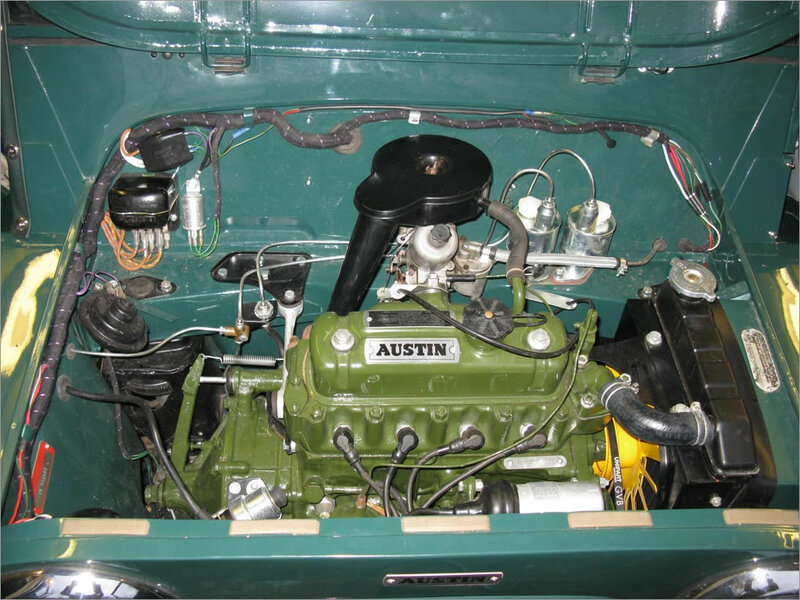 The work included a rebuild of the engine, associated components and running gear. 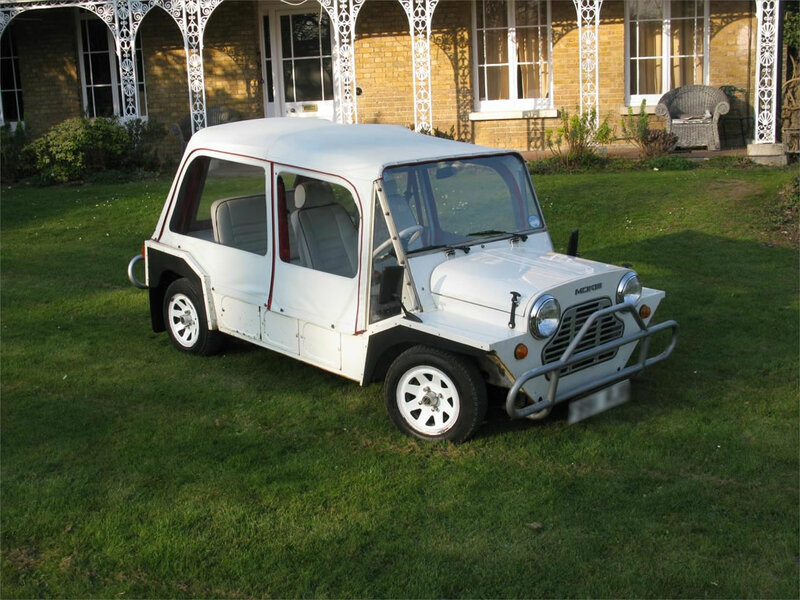 It has only been driven about 200 test miles since the restoration. 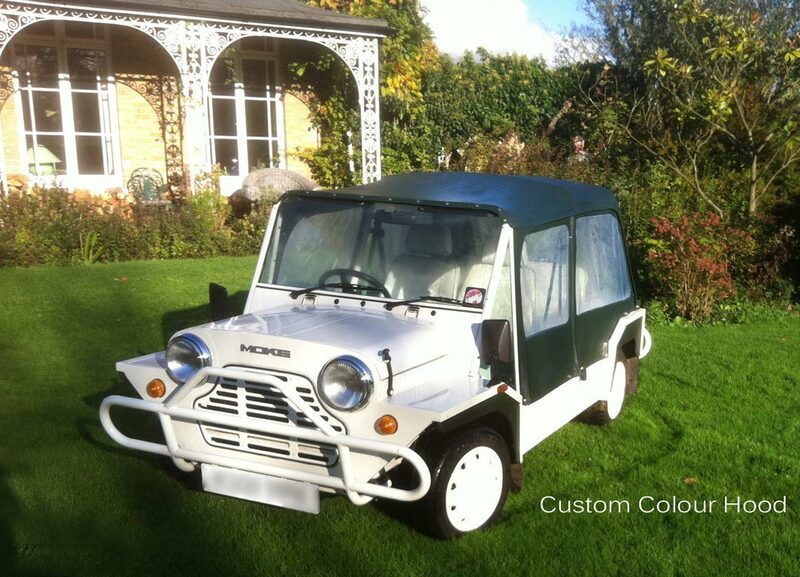 You'd think this Moke rolled off the production line only days ago - not decades ago! 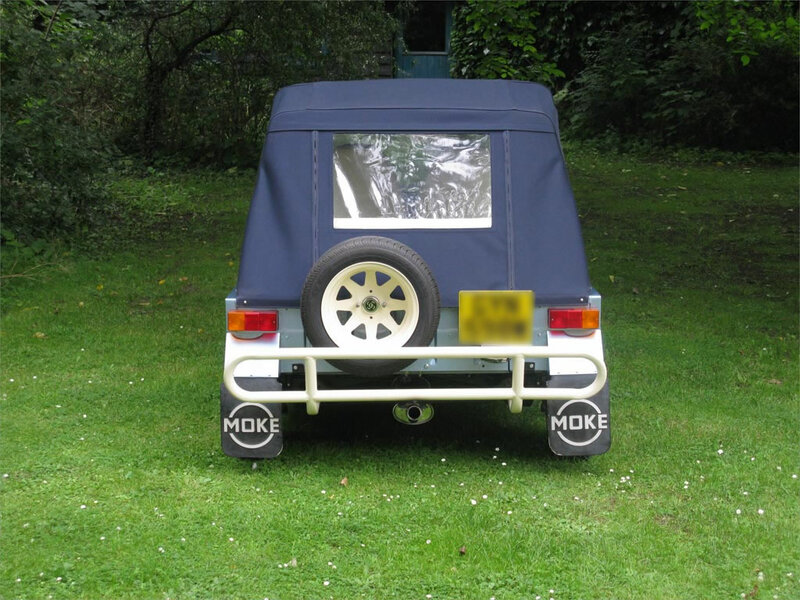 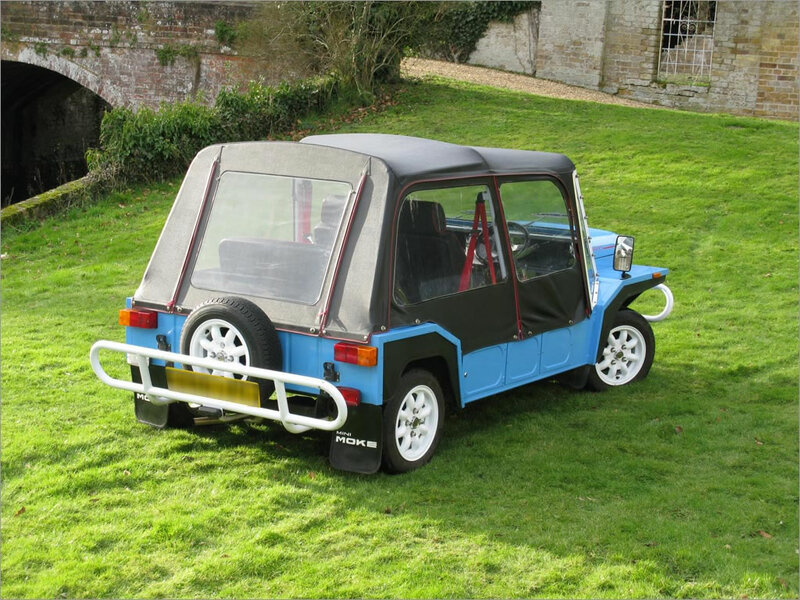 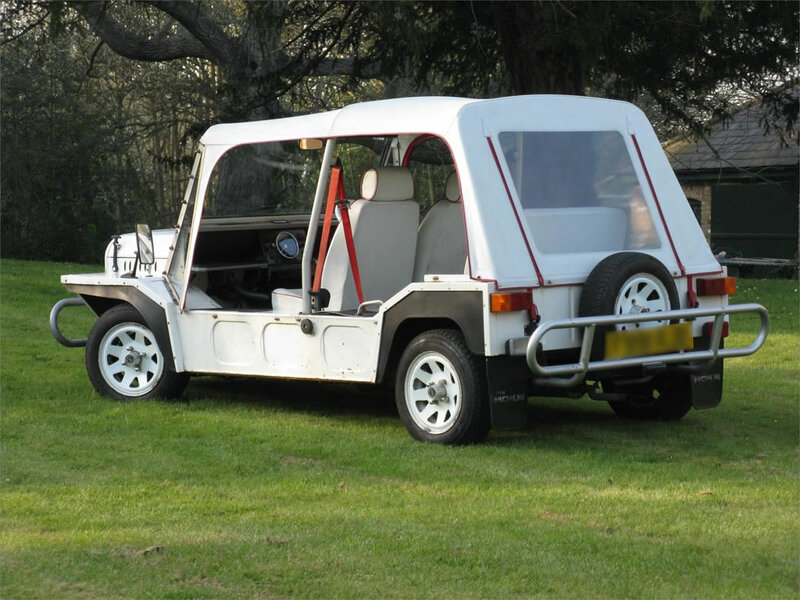 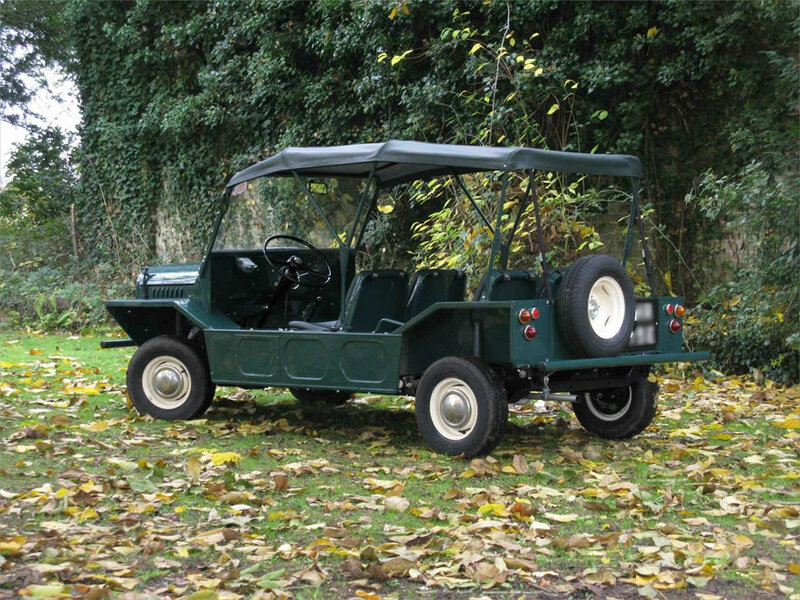 The photos show the Moke with a special backless 'suntop' hood which we have devised for English Mokes. 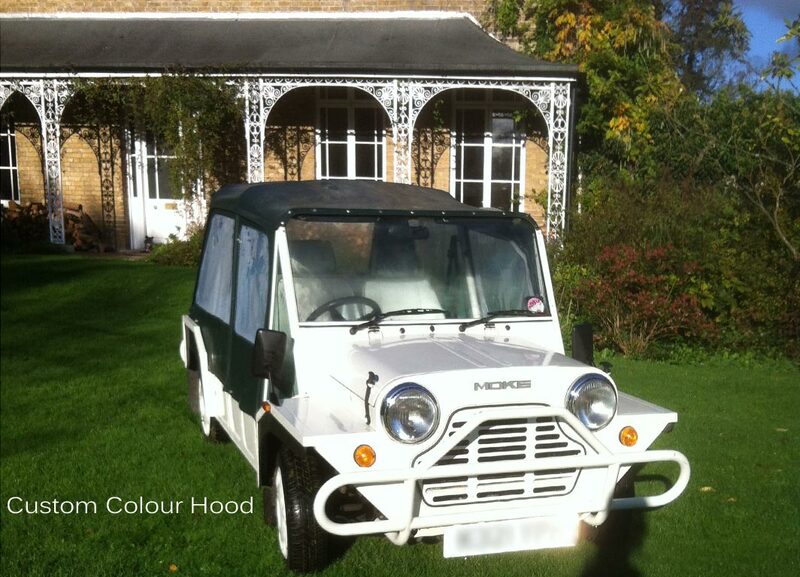 However, the Moke is supplied with a full standard hood. 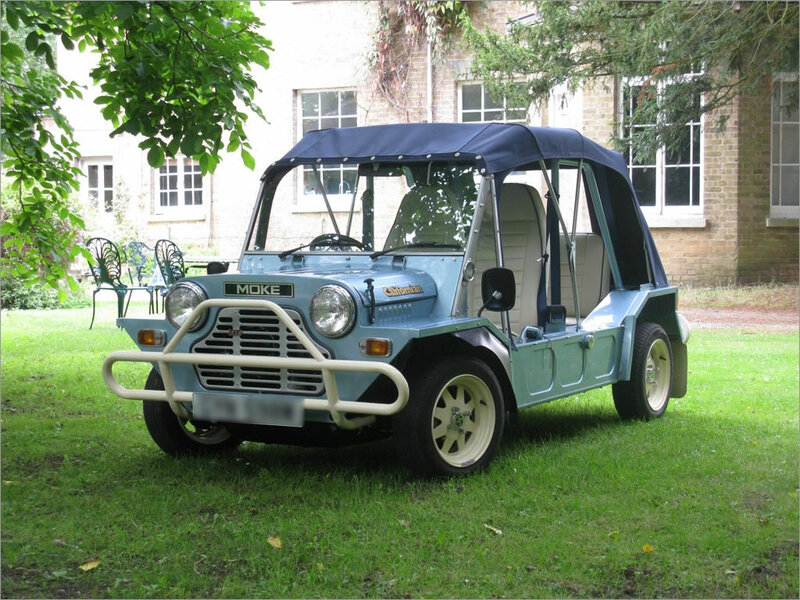 This 1966 English Moke is classed as a 'Historic Vehicle' for UK Road Tax purposes, so the Road Tax is free. 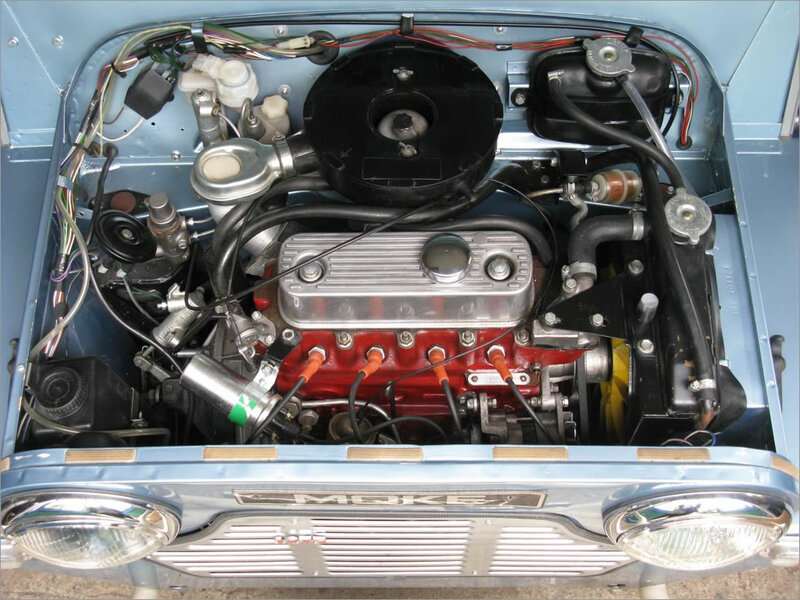 To stop the slideshow and look in more detail, bring the mouse over any photo. 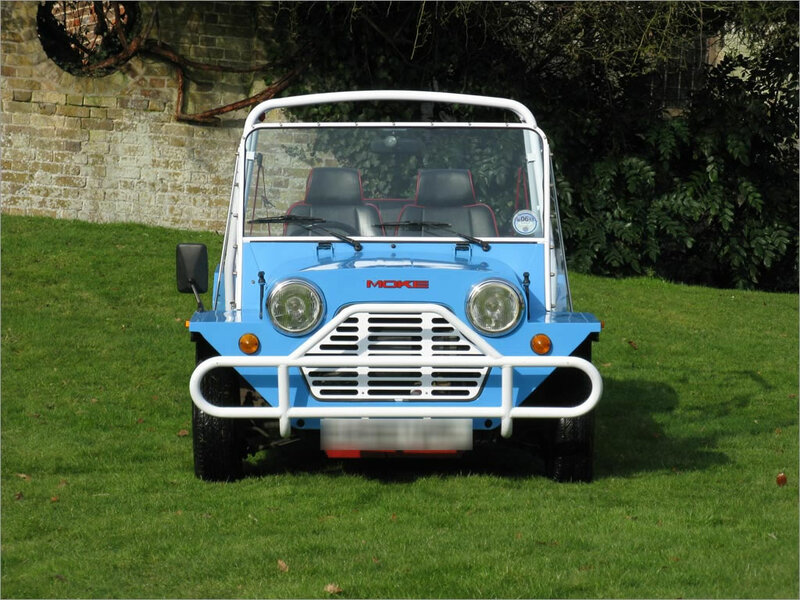 Take the mouse away again to resume the slideshow.